Ever felt uncomfortable during a health care visit, whether it was to a hospital, urgent care, or other type of provider, upon hearing private information about another patient? You are not alone. 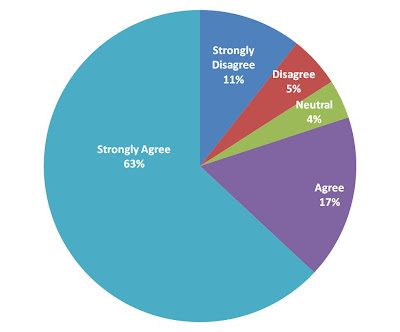 One out of every five patients disagreed or were neutral when asked if they "never overheard staff discuss other patients". How does it happen? I can think of many examples during health care encounters with my family over the past year. It happens in the physician office when there aren't doors - like an orthopedic office, and at the pediatrician where the office walls aren't insulated to absorb sound. It happens when you share a room with three other people (in a rehab environment). When you pick up your prescription and they repeat the names of your medications at the pharmacy desk. And in the hospital hallways when you walk through to see your family member. But what happens when the other patient hears private information - are they held to the HIPPA laws? No, according to the Health and Human Services Health Information Privacy,only the entities listed below can be held accountable for violating HIPPA laws. If you "win" a HIPPA lawsuit, you do not receive any compensation. According to the AMA website -" While HIPAA protects the health information of individuals, it does not create a private cause of action for those aggrieved (65 FR 82566). State law, however, may provide other theories of liability." 1. Tell the health care provider if their voice is too loud, many times they may not realize the projection of their own voice can be heard by others. 2. Use a signal, such as a hand gesture, to let them know their voice is too loud or you can hear them from across the room. 4. Leave the room temporarily, if possible, when another patient is getting care to avoid the possibility of hearing their information. 5. Talk to a manager and explain the circumstances and let them know your privacy concerns. 6. If you do hear something, start humming so you can replace the other sounds. What do you do when you are in these situations? Tell us about your health care visits on Where To Find Care.com. Take a survey today. Click here to get started. Humming? Leave the room? What if you're a very sick patient who is forced to share a room because private rooms are only for VIP's and people with infectious disease? I've been horrified at the very private, personal and sometimes embarrassing information I'm asked to share with, not only the medical worker, but the person in the bed next to mine (with just a curtain between us), their entire family (who have even laughed or repeated it to others on the phone) etc. Good point. It's not just the person in the next bed, but their family or visitors. Hospitals need to have a policy that empties the room of non patients during physician or certain nurse visits. Better to create a situation where things are not heard than try to fix the situation of keeping it contained.